2. 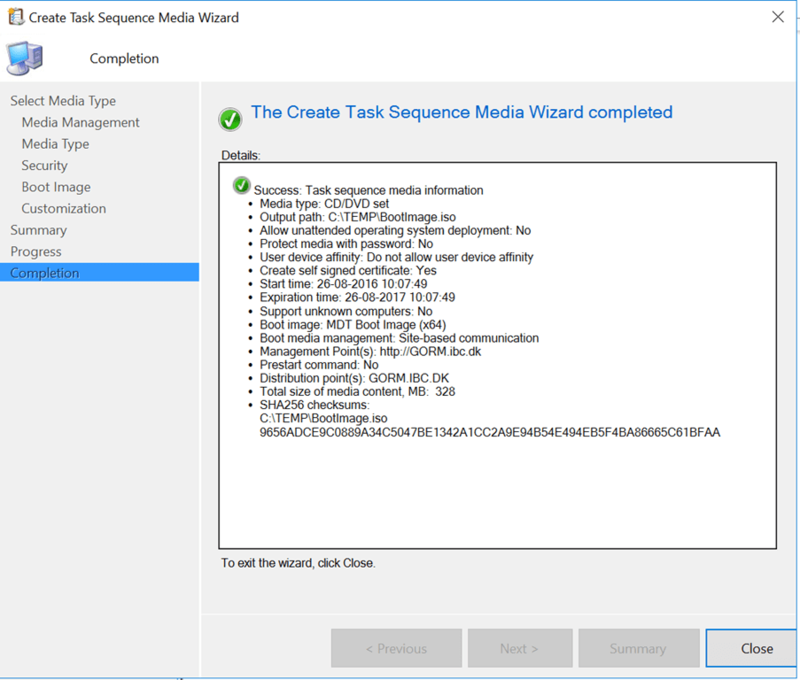 Copy the corresponding version of TSEnv2.exe to the x64 as well as the i386 subfolder. 3. 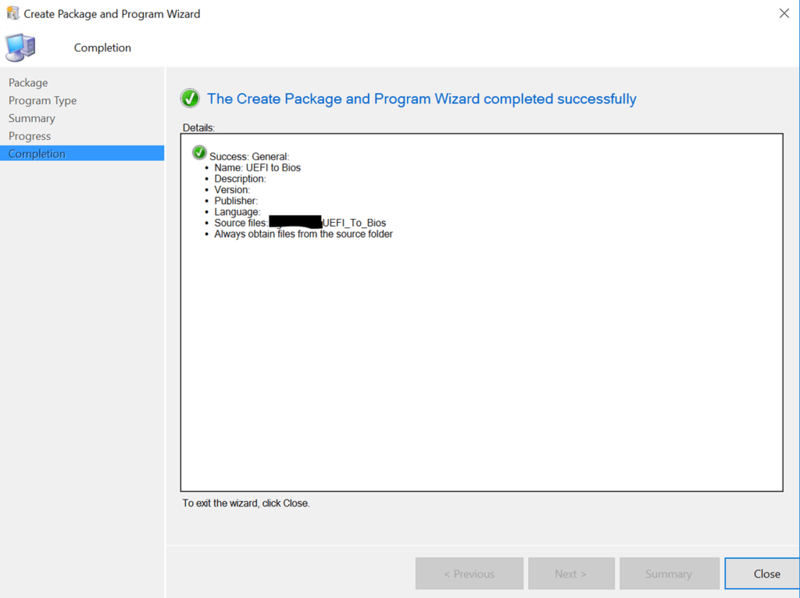 Open \\SERVER\DRIVE$\Microsoft Configuration Manager\bin\X64\osdinjection.xml in notepad or similar. 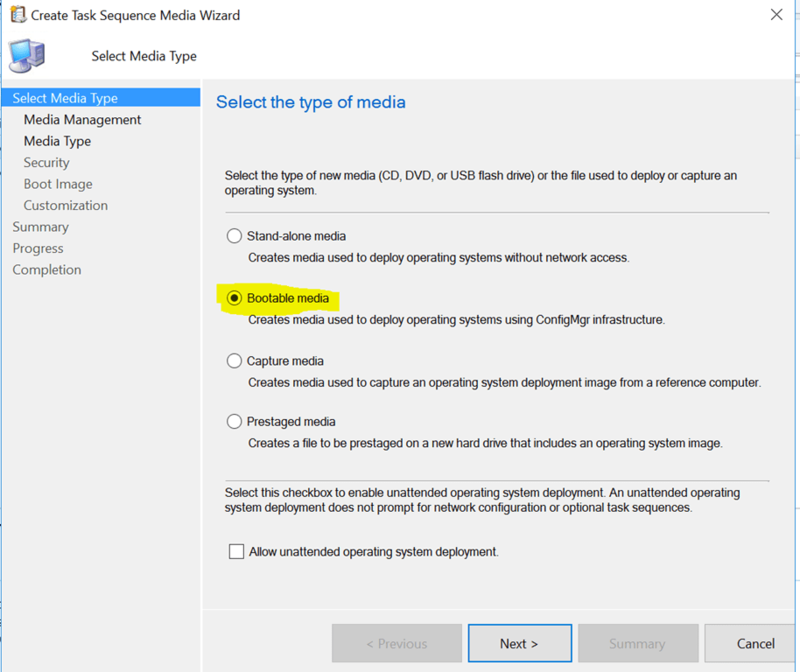 Remark – there’s only one osdinjection.xml, not one per architecture. 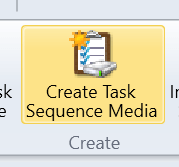 Remember to Backup osdinjection.xml before editing. 4. 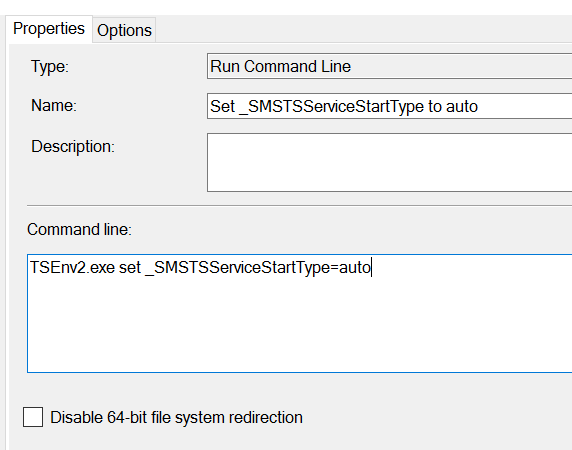 There’s already a native file with similar name (tsenv.exe). 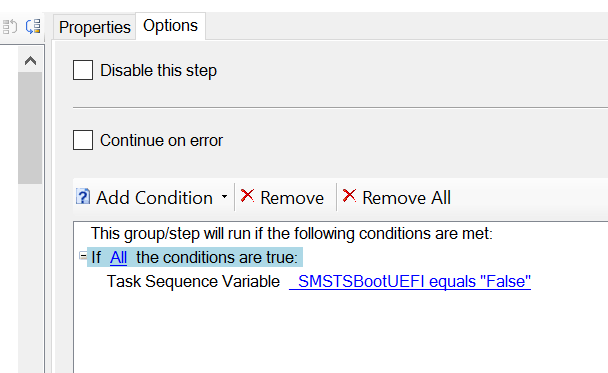 Search for that and copy the section, thus avoiding misspelling. 5. 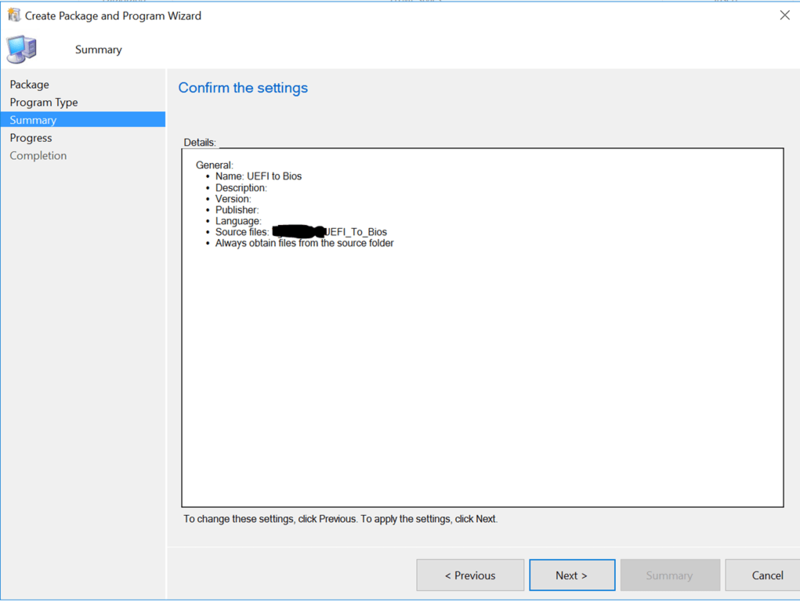 Save and close “osdinjection.xml”. 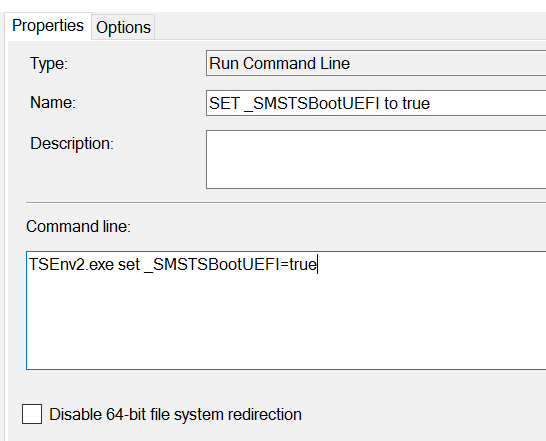 Next time a boot image is updated on distribution points TSEnv2.exe will be included. 6. 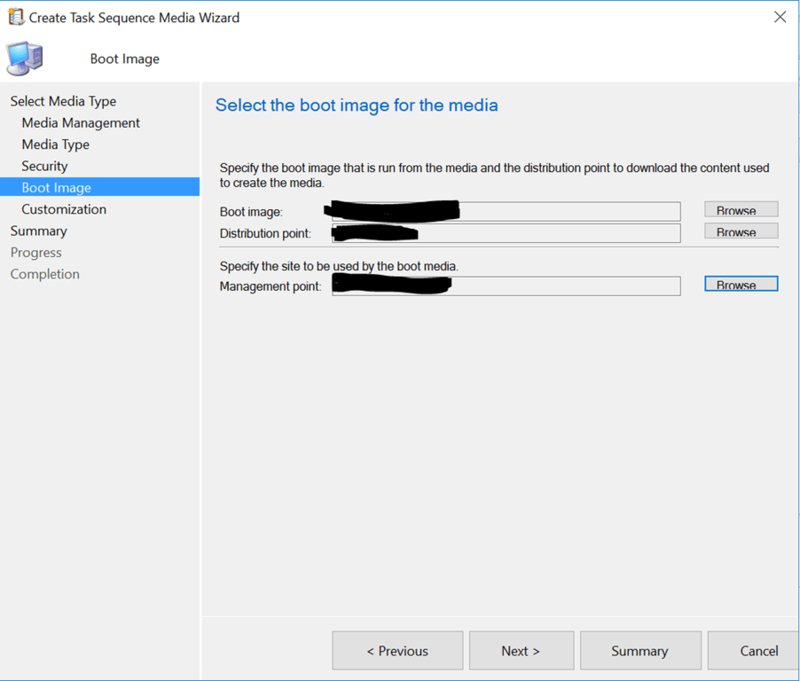 Update the boot image on the distribution points or create a new Boot image. 10. 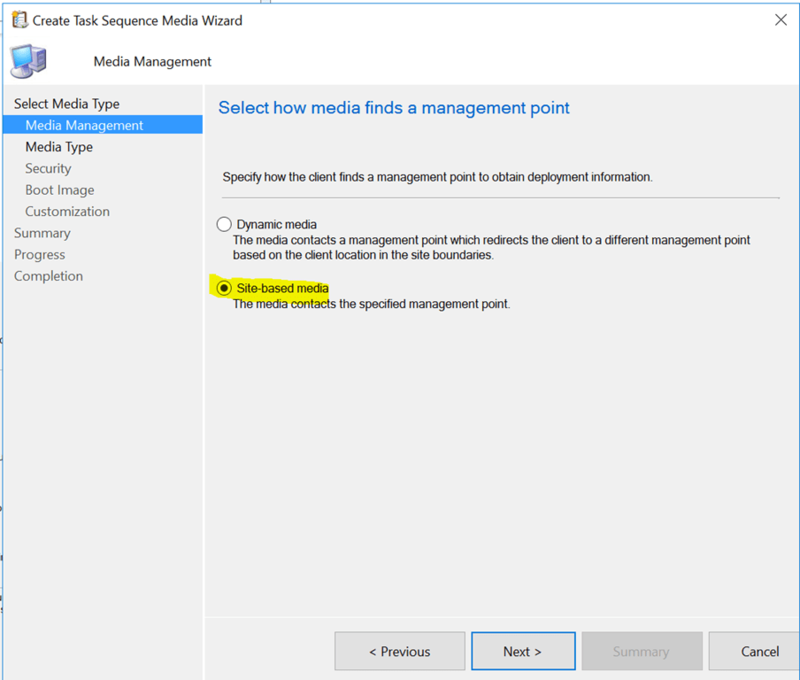 Select “Site-based media” and click “next”. 12. 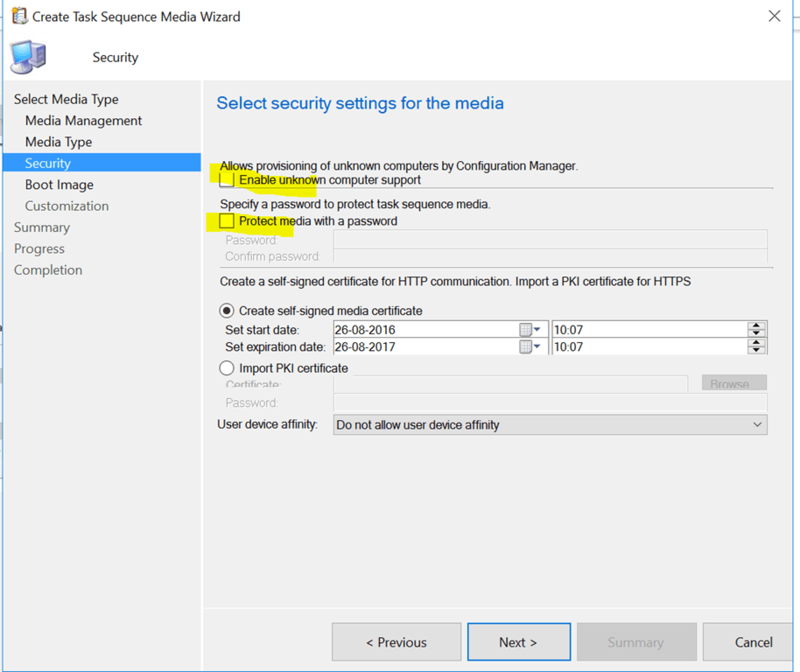 Remove the check mark in “Enable unknown computer support” and “Protect media with a password” and click “Next”. 13. 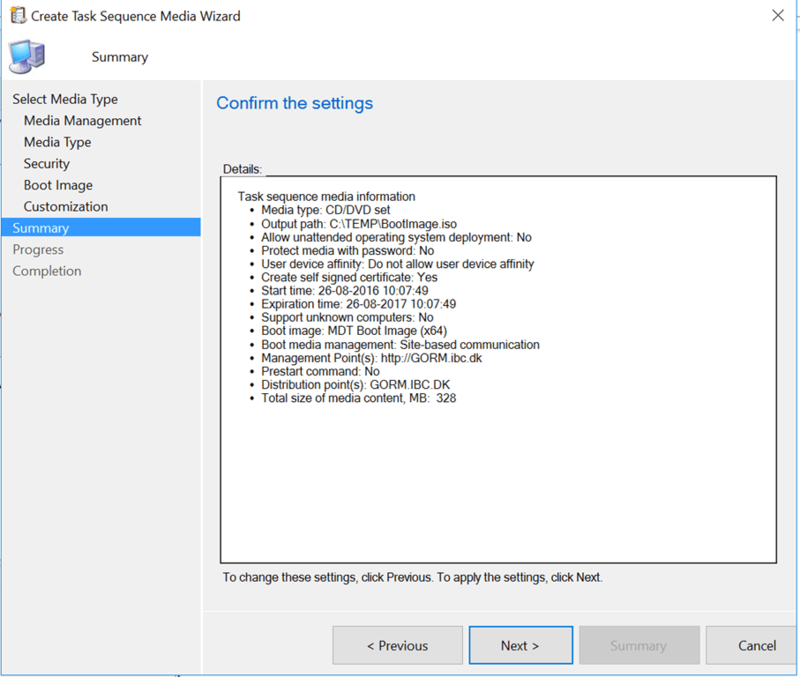 Choose your boot image, Distribution point, Management point and click “Next”. 19. 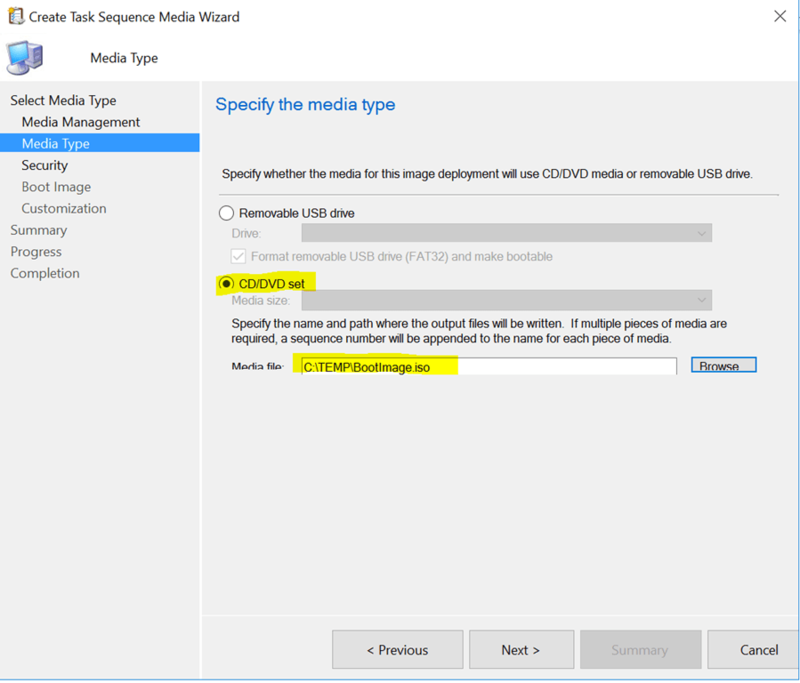 Copy all the files from the iso you mounted in step 17 to the folder that you just created on the SCCM package share. 21. 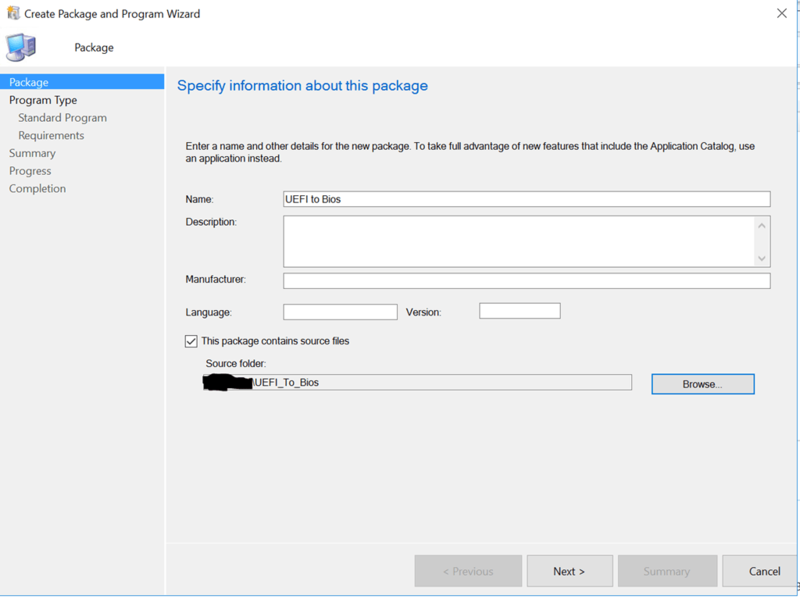 Create a package in SCCM. 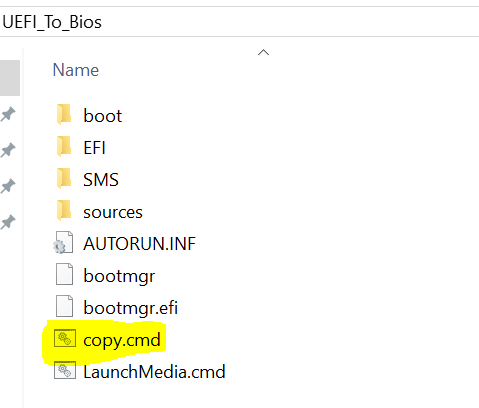 Call it “UEFI to Bios” and choose the folder you created in step 18 as Source Folder. Click “Next”. 22. 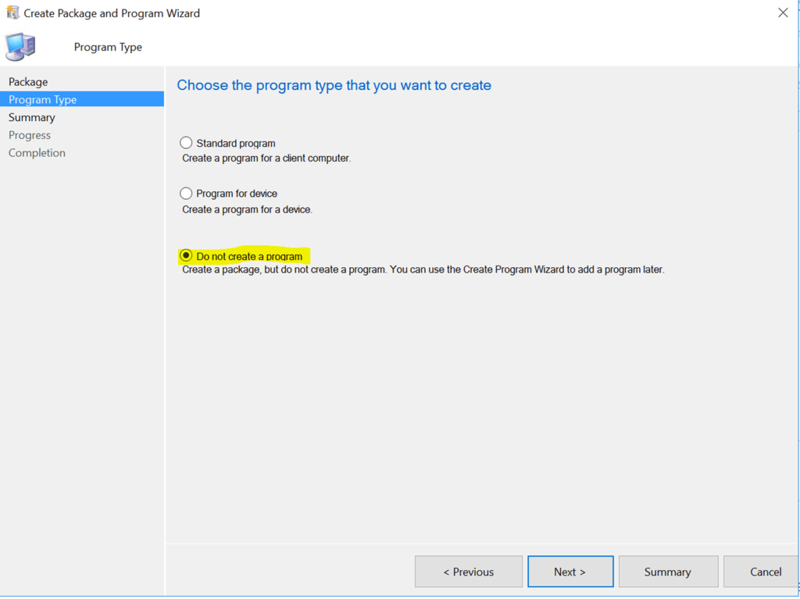 Choose “Do not create a program” and click “Next”. 26. 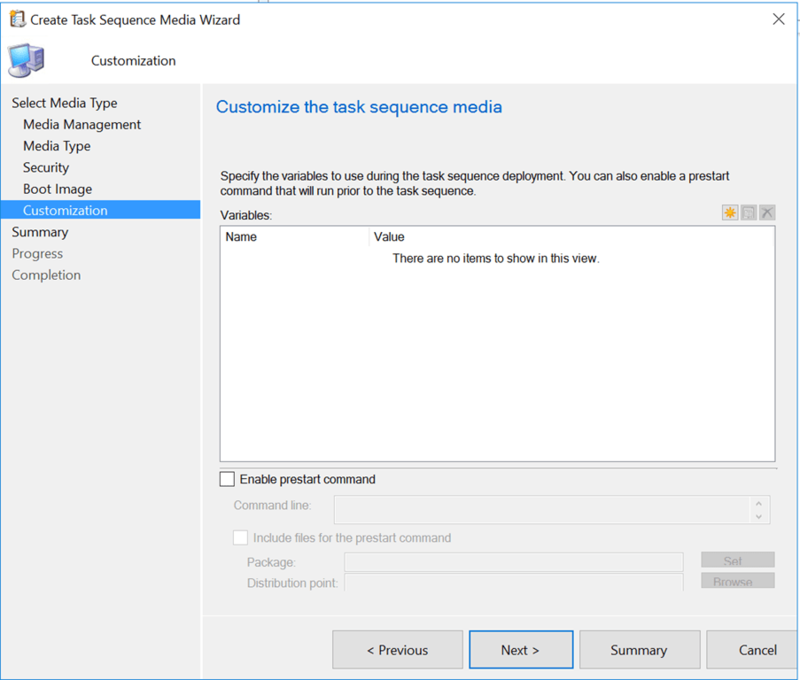 Open your task sequence and create a new group called “Transform to UEFI” as the first step in the task sequence. 29. 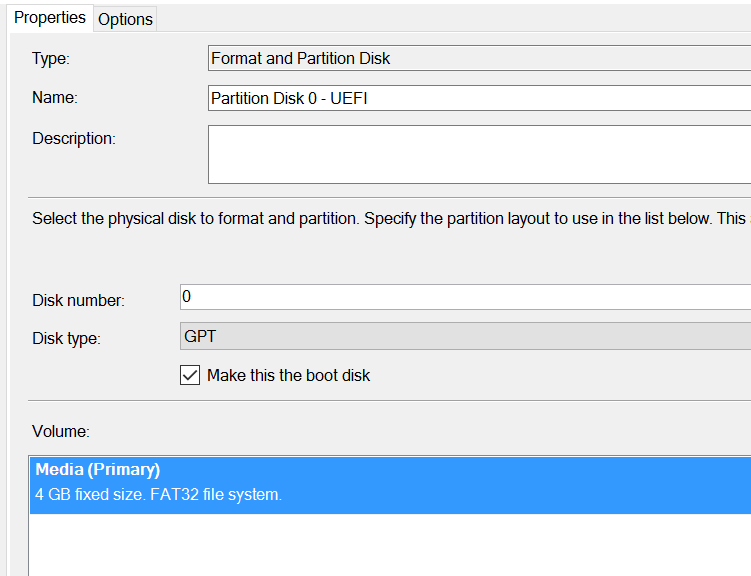 Use a standard “Format and Partition Disk” step to create a GPT disk with a minimal UEFI-compatible partition. 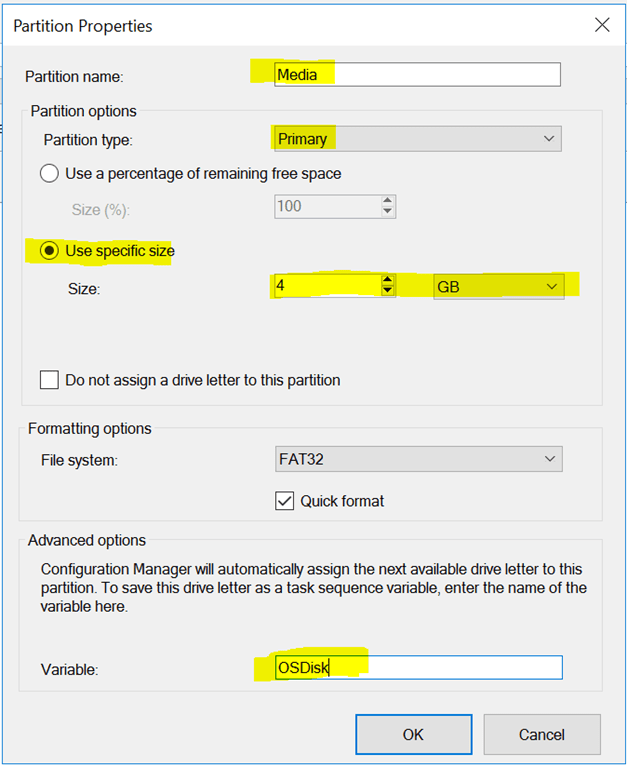 The automatically assigned drive letter will be stored in “OSDisk”. 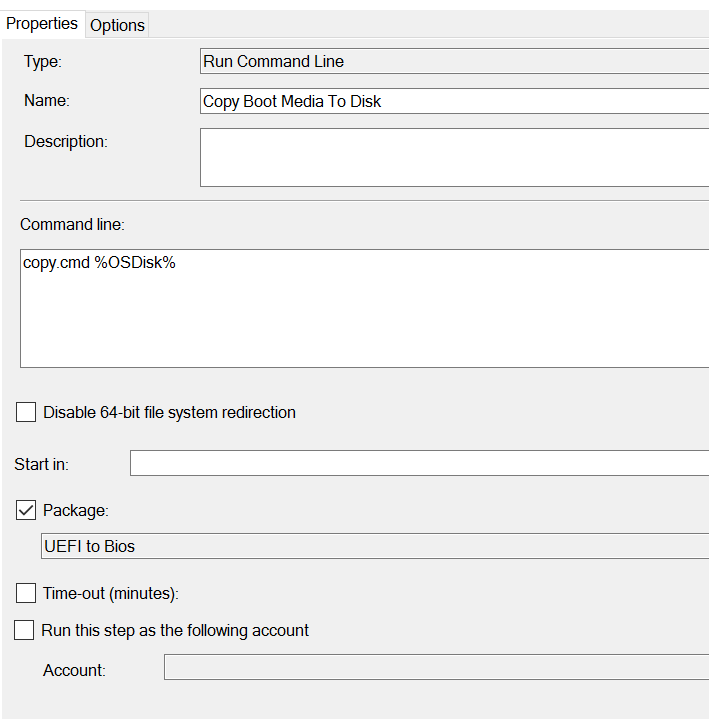 ”OSDisk” contains the drive letter and tells copy.cmd where to put the content. 32. 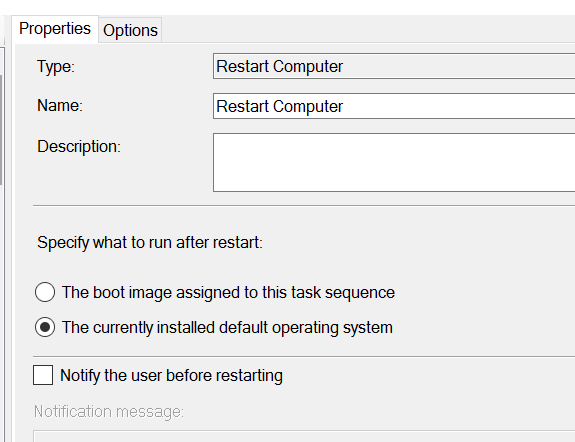 Add a “Restart Computer” step.